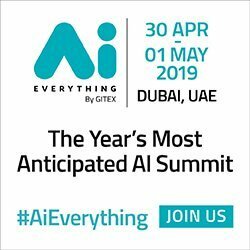 Etisalat Digital announced the launch of the IoT (Internet of Things) gateway solution to connect customers' remote organizational assets securely to the enterprise network, giving them flexibility and efficiency in managing their connected assets. IoT gateways are rugged routers deployed in multiple environments of business customers, like vending machines, payment kiosks, traffic lights, radars, digital signage, smart metering, etc. at remote locations and site offices using specific M2M (Machine-to-Machine) cellular communications. Etisalat Digital's IoT gateway solution offers businesses an opportunity to purchase rugged routers to support their IoT deployments, the solution includes best in class M2M managed connectivity. These IoT gateways are engineered to be deployed out-of-the-box without additional programming and have the intelligence to stay connected. This one-stop-shop solution gives business customers IoT connectivity management with monthly instalments and support. 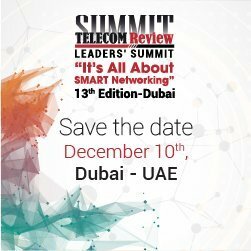 Alberto Araque, Vice President, Internet of Things and Digital Payments, Etisalat Digital, said: "Today enterprises and governments have a growing base of widespread valuable assets across UAE, GCC and even worldwide. The gateway solution will play a central role in the design and implementation of IoT systems, connecting those assets to a central command center where our customers will be able to simplify and automate processes and take informed decisions in real time." This IoT gateway solution makes budgeting easier as customers can choose from a range of price plans to suit their requirements reducing their CAPEX. Customers will also improve their operational efficiency using Etisalat M2M managed connectivity (M2M control center).